Liverpool were very active this summer, the first with Jurgen Klopp and his backroom staff in charge. We offloaded, released and loaned a plethora of players away from the club, bringing in seven new ones for the 2016/17 season. It’s hardly Manninger’s fault he’s placed at the bottom. He isn’t expected to play a game this season, bar injuries to Simon Mignolet and Loris Karius at the same time. At 39, he’s simply at the club to aid the younger keepers in training and hopefully help them improve – especially Karius. It’s been a shaky start for the German, although in fairness we’ve won all three games he’s featured in. Karius picked up an injury in the summer and has only recently come into the side, but he’s looked uncomfortable with crosses and corners and it’s this indecisiveness which fills a backline with worry. He’s not yet had a chance to show off his shot-stopping skills, but hasn’t looked as commanding as we’d hoped. Obviously it’s very early days and if Klopp rates him so highly, we’re more than willing to give him a chance. Really impressive in pre-season, Grujic hasn’t had too much of a look-in due to the form of Adam Lallana and Gini Wijnaldum in the box-to-box midfield positions. He’s looked tidy from the bench though and impressed against Derby in the EFL Cup. At 20, Grujic has talent to burn and a physicality which belies his age. His time will come. Not many Liverpool fans had heard of the veteran Estonian upon his arrival, but he’s been really quite good, bar a shoddy afternoon against Burnley where his team-mates were not much better. Klavan’s composed on the ball, strong in the air and has a sharp, left-footed pass from defence. As first backup to Dejan Lovren and Joel Matip, he’s more than reliable. An improvement on Martin Skrtel, certainly. Wijnaldum’s registered two Premier League assists so far and his height and strength has benefitted our midfield plenty. The Dutchman presses, fights and usually chooses a simple ball – very unlike his role for Newcastle beforehand. This has enabled the likes of Adam Lallana and the front-three to show more creative freedom. Wijnaldum’s best outing came away to Chelsea, where he outperformed the likes of N’golo Kante and Nemanja Matic. At 25, he’s entering his peak and seems a really smart buy. On a free transfer, Matip truly looks like one of the bargains of the season. He’s unbelievably composed on the ball and has the ability to dribble infield and start attacks from deep. His height helps us aerially, although he’s yet to finish a Premier League game with a clean-sheet, which we hope changes soon. He’s an automatic starter at centre-back already and we hope he can form a consistently good partnership with Dejan Lovren. If we hadn’t have signed anyone this summer bar the Senegalese flyer, we’d still label it a successful window. That’s how good Mane’s been since his big money move from Southampton. To think, many fans questioned Klopp’s decision to splash out so much on the 24-year-old. He bagged August’s Premier League Goal of the Month, won September’s Premier League Player of the Month and has not yet had a bad game. He offers pace, trickery, dynamism and genuine end product. 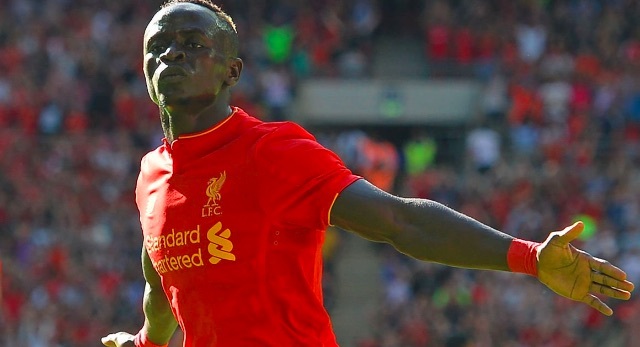 In short, he’s been the final piece in the jigsaw of Liverpool’s attack. Probably our best buy since Coutinho.